Book dispute • "Fault In Our Stars" writer feels Amazon picks on publishers. Ben Margo | AP file photo Another author is lashing out at Amazon.com regarding its dispute with the Hatchette Book Group, saying the online giant is bullying publishers into nonexistence. New York • John Green is the latest author lashing out at Amazon.com. "What&apos;s ultimately at stake is whether Amazon is going to be able to freely and permanently bully publishers into eventual nonexistence," Green, whose "The Fault In Our Stars" tops Amazon&apos;s best-seller list, said Monday. Green was commenting on the dispute between Amazon and Hachette Book Group, where authors include J.K. Rowling and James Patterson. Amazon has restricted sales and slowed deliveries for Hachette books, reportedly because of a disagreement over terms for e-book sales. Patterson and fellow Hachette author Malcolm Gladwell are among those who have strongly opposed Amazon&apos;s tactics. Green, a frequent critic of bullying, is published by an imprint of Penguin Random House. "The breadth of American literature and the quality of American literature is in no small part due to the work that publishers do, and it&apos;s very unfortunate, in my opinion, to see Amazon refuse to acknowledge the importance of that partnership," said Green, in town to promote the film adaptation of "The Fault In Our Stars," set to open Friday. 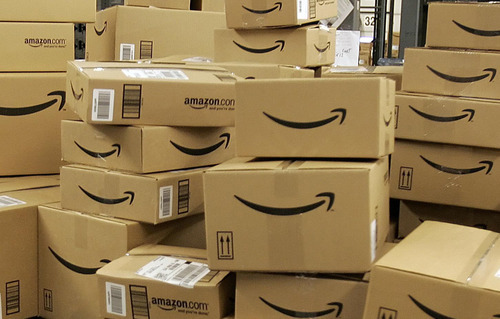 An Amazon spokeswoman declined to comment Monday. The Seattle-based company issued a statement last week saying that the standoff was unlikely to be resolved soon and suggesting that customers searching for Hachette works try Amazon&apos;s competitors. Hachette said about 5,000 titles are affected.